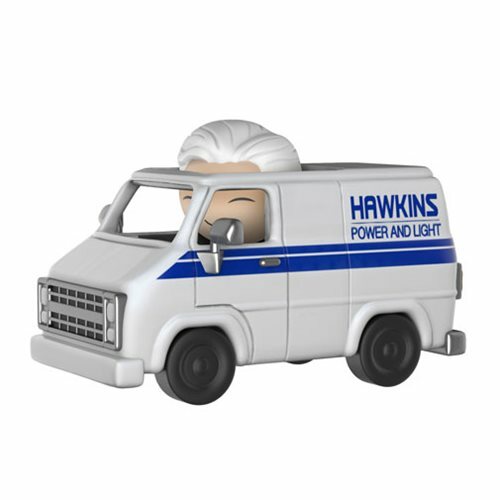 Just what is Dr. Brenner up to, riding on to the scene in the Hawkins Utility van? Find out with this Dorbz Ridez set. Brenner measures approximately 3-inches tall and fits right inside. The Stranger Things Brenner with Hawkins Utility Van Dorbz Ridez Figure comes packaged in a window display box. Ages 3 and up.